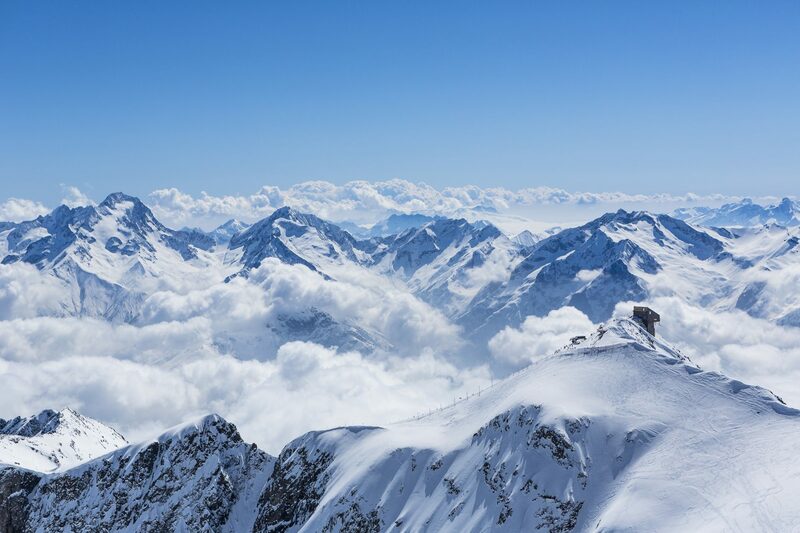 The snow has already been falling in the Alps and some high altitude resorts are open for winter 2018-19. For the rest, the ski season is just around the corner, you can almost taste the excitement in the air in every skiing household across the land! This year bookings for Christmas and New Year, we’re told, are up, up, up! …as skiers try to forget day-to-day depressing news on the radio and TV and instead remember the great snowy start to last winter, one of the best for years. But with the snow already lying and some resorts offering the added advantage of glacier skiing, why wait even until Christmas week when you can beat the crowds and hit the slopes early to satisfy your craving! There are lots of good reasons to do so – it’s much harder to try to think of why you shouldn’t. One of the best things about getting on the snow before everyone else is that you’re likely to have the slopes to yourself. Imagine it… perfectly groomed empty slopes, ski lifts with no danger of a queue building up, the first big powder dumps of winter all to yourself. It seems almost selfish doesn’t it – but really you’re just doing your bit to support the local economy in resort. There’ll be no queues in the mountain restaurant either and you’ll not have to queue at the bar or risk being turned away in the fully-booked restaurant because, well, they DO have spaces for walk-in customers. Ski resorts like Vaujany, part of a huge, high ski area shared with the big resort of Alpe d’Huez is invariably free of the crowds of its bigger neighbour, but even here you notice the difference. The even greater miracle of supply-and-demand ski slope economics is that even though you get all the advantages of being one of the first on those empty slopes, you’re likely to pay much less for the privilege. 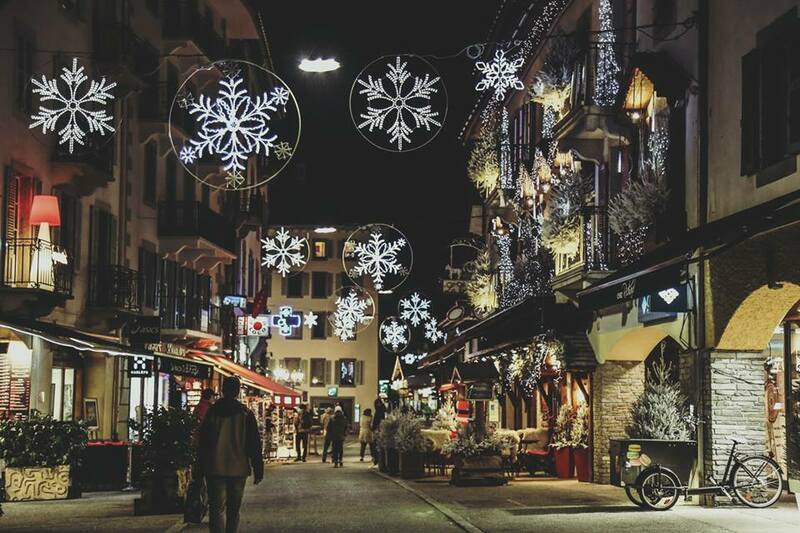 Everything from flights, your chalet accommodation and many of your other in resort costs can be significantly discounted, in some cases half what they are just a week or two later, simply because the ski resorts need business before Christmas, then it becomes a case of prices shooting up as demand rapidly out strips supply. Holidays for the first week of the 18-19 season offered by Ski Peak in Vaujany from 15th to 22nd December can be almost half that of the following Christmas week. Another perk for early arrivals in resort is that, if you’re renting your equipment, you may well find yourself in brand new boots, stood on the latest skis or board, all new for winter 18-19. 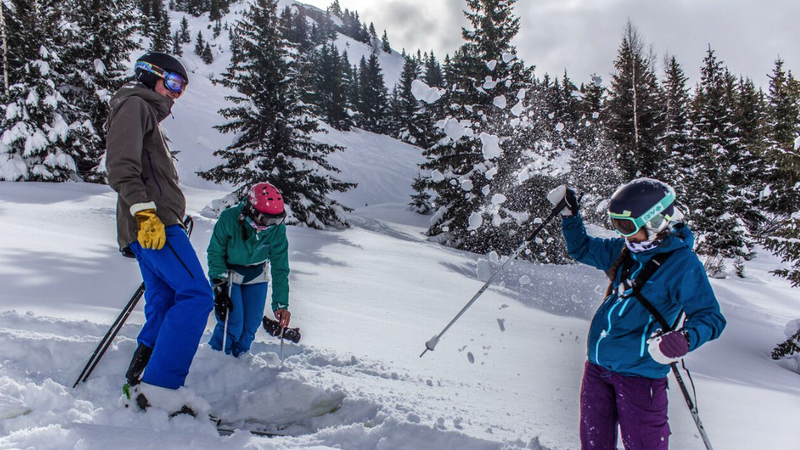 Whether it’s beginner equipment on expert-level demo gear, you’re likely to be the first to test it. Oh and no wait in the rental shop either. Your friends back home will be waiting in much anticipation for their ski holiday later in the winter. They’ll also be paying much more for it; to battle through busy airports and roads, to reach those more crowded slopes. Whilst you’re whizzing down the mountain, they’re sat at their desks, waiting to hear from you about your start-of-the-season ski trip. Imagine their delighted faces as you live stream videos of you descending that pristine, empty ski slope and how they’ll be almost tearful with appreciative joy, seeing your Instagram images of perfect French mountain cuisine on the restaurant terrace. They on the other hand will be sipping their lukewarm festive gingerbread latte in a cardboard, from the local coffee chain counter… I know where I’d rather be! Being in resort at the start of the season means that you get the chance to try the latest attractions before anyone else. That can include fast, comfortable new lifts, the newest bars and restaurants and even, sometimes, newly cut pistes. In Vaujany the new Enversin gondola will come in to service with its inaugural winter ascent on opening day, December 16th. 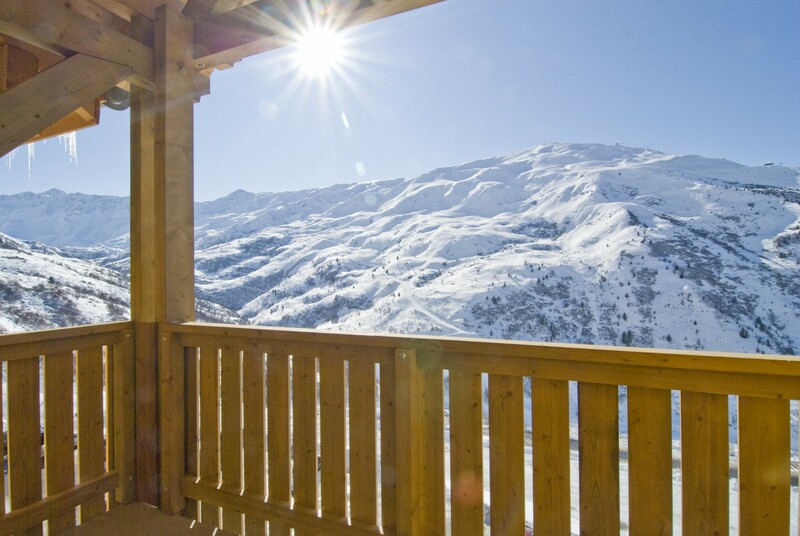 4 Million Euros has been spent by the municipality of Vaujany to renovate the Montfrais gondola with 73 new cabins and all three stations renovated; you could be one of the first to ride them! Another big new attraction, accessible from Vaujany this winter and scheduled to open on officially December 15th, is a French-first mountain coaster with a virtual reality option! Mountain coasters are downhill roller coasters accessed by a ski lift… they’re becoming ever more popular in resorts. 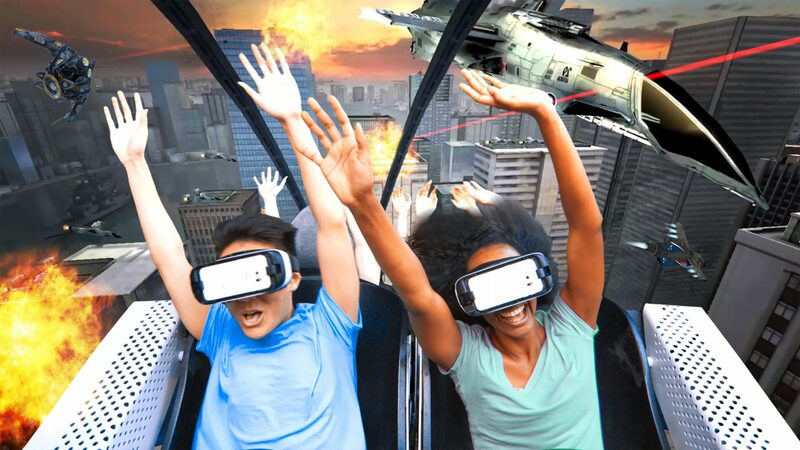 But if whizzing through spectacular mountain scenery isn’t enough for you, this new coaster takes it to a whole other level by giving you the chance to ride as a passenger in a two-seater car, being driven along whilst a virtual reality mask takes you to places out of this world! Finally, one of the best reasons for getting away pre-Christmas is that you get some space to enjoy something closer to the true spirit of Christmas in a genuine community in beautiful surroundings rather than the sanitised, commercialised version blasted at us from all sides at home. With space to breathe and take in nature’s spectacular beauty you might even find you come back just in time for Christmas Eve actually feeling a little Christmassy, rather than exhausted with it all. Wouldn’t that be nice?